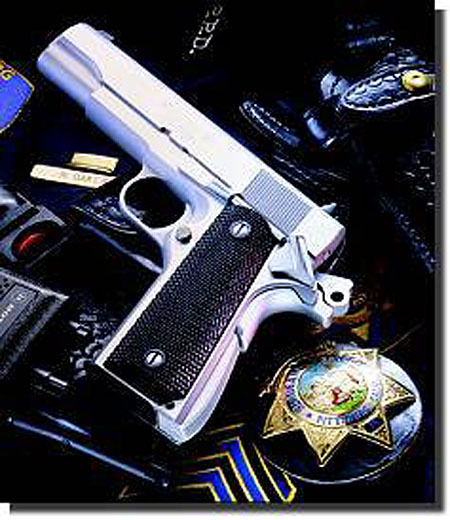 This is an unknown Springfield 1911-style pistol. Based on the photo, this is probably a 1911A1 model that was photographed as part of a catalog or publicity campaign. The Springfield Armory company leases the rights to the name from the actual Springfield Armory, the national historic site, in Springfield, MA.